The 13th annual Native American Basketball Invitation (NABI) tournament, presented by Nike N7, the Seminole Tribe of Florida and the Ak-Chin Indian Community, took place from June 30 thru July 4 in Phoenix, Arizona. NABI has become the largest basketball tournament in the world featuring Native and Indigenous high school youth. This year’s tourney featured 152 teams, totaling 1,600 Native high school-age youth representing teams from all across the United States, Canada and New Zealand. 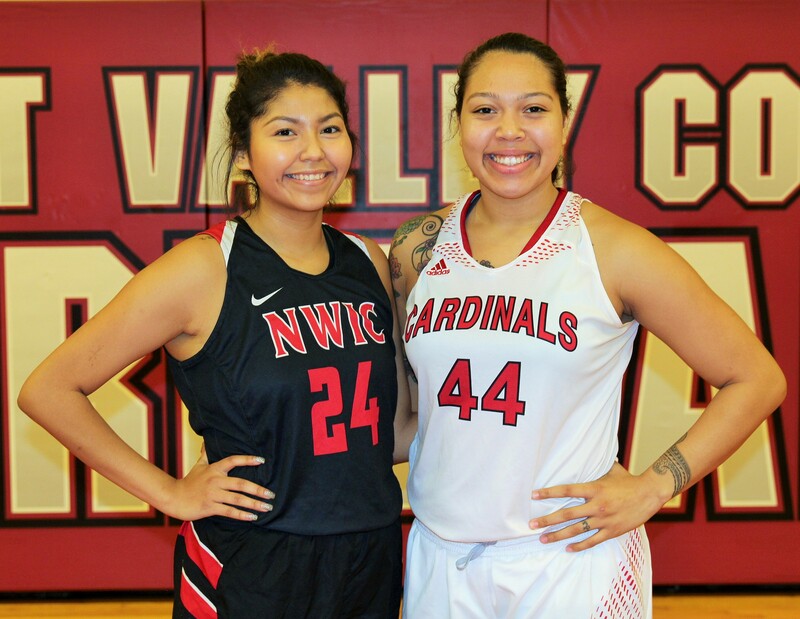 Through NABI, Native American high school athletes are given the opportunity to shine and use their talent to secure college athletic scholarships, while being showcased in front of countless college scouts. This summer’s tournament featured over 350 games played in three days of pool play and bracket games, with the Gold Division Championship games played at U.S. Airways Center, home of the Phoenix Suns and Phoenix Mercury, on Saturday, July 4. NABI also features a college and career fair, Team Meet & Greet pool party and educational seminars where the high school athletes are taught skills that inspire them to succeed and strive for higher education. 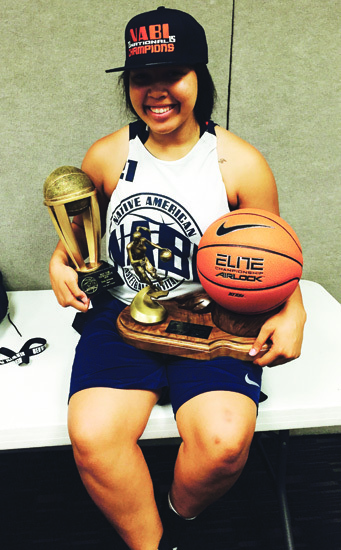 For Tulalip tribal member Adiya Jones, her talents on the basketball court were sought after by Team Nez Perce, the Idaho State Champions from Lapwai, ID. Nez Perce lost in heart breaking fashion in the finals of NABI 2014 and felt that by adding the post presence of Jones they would have enough fire power to win it all this year. 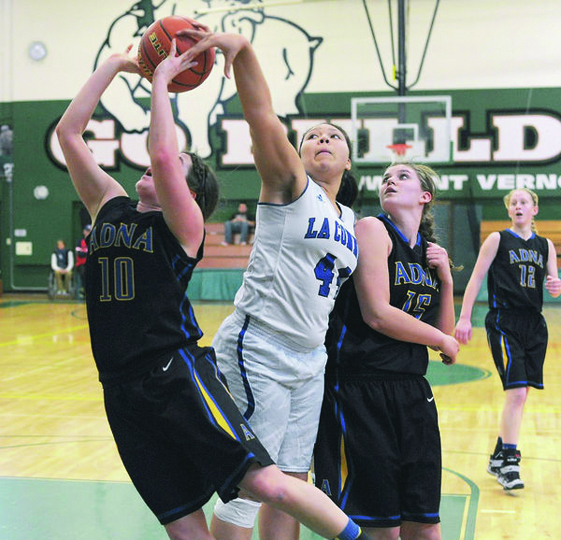 Not only was Jones playing on the Nez Perce team, but she would be starting at center every tournament game. The combination of speed and outside shooting that separates the Nez Perce girls from their opposition is usually enough to claim victory in any game. Now, with Jones holding down the paint, Nez Perce was the clear favorite to win the Gold Division championship. Through the first four games of the tournament team Nez Perce, led by Jones, rolled teams in dominant fashion; winning by an average margin of 29 points per game. It wasn’t until the quarter-finals that Nez Perce finally found themselves in a competitive game versus Pueblo Elite. At halftime, the offensive driven Nez Perce, had only managed 7 points and were trailing 7-11. Following halftime, Nez Perce would go on to outscore their opponents 31-16 in the 2nd half and claimed a 38-27 victory. Things wouldn’t get any easier for the now battle-tested Nez Perce, as they would have to play their semi-final game in less than two hours. The game would be another highly contested battle, but Nez Perce would prevail 40-33 and get a night’s rest before their championship game versus Cheyenne Arapaho. The Championship game was held at U.S. Airways Center, home of the NBA’s Phoenix Suns, at 1:00 p.m. on Saturday, July 4. It featured two undefeated squads in Nez Perce and Cheyenne Arapaho who were both 7-0 to this point. The clutch basket by Nez Perce forced a 3-minute overtime period in the final game of the tourney. Nez Perce would ride that momentum in the extra period and earned a hard fought 78-75 victory to claim the Gold Division Championship. For her stellar tournament play, averaging a stat line of 18 points, 9 rebounds and 7 blocks, Adiya Jones was awarded tournament MVP. “I was shocked. Extremely thankful, but shocked more than anything. There were so many good girls there,” says Jones. “My MVP and our tournament Championship is all do to the team chemistry we had. There were several scouts who commented on how good we looked playing together, they thought we had been playing together for years, but this was my first time playing with this team. They made me feel super comfortable in their system and it really showed in my performance. It was definitely the highest level of play I’ve been a part of and the best competition I’ve gotten from a tournament. On Wednesday, April 1, 2015 the Associated Press announced their All-State basketball teams for boys and girls high school players, as voted on by sports writers and editors from around the state. 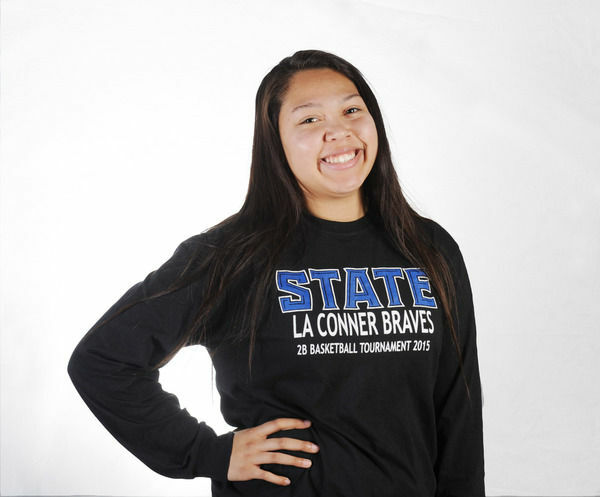 La Conner High School junior and Tulalip tribal member, Adiya Jones, was named to the First Team for all Class 2B girls’ high school players in the state. Prior to this past year Adiya was the face of the Heritage High School girls’ basketball team. She was part of a successful season in her freshman year, followed by being the focal point of the team’s offense in her sophomore year as she led the team in scoring and rebounding. It was expected she would again be the team’s star player in her junior season, but in a twist she opted to transfer out of Heritage and play at La Conner High School. Adiya and her mother, Charlotte Jones, relocated to the small town of La Conner in order for her to attend the local high school. Over the next several months Adiya would become part of a new community and lead a new group of teammates on the basketball court. In fact, Adiya excelled at La Conner, both on and off the court, resulting in her being named co-MVP of the Northwest 2B Basketball League and leading her team to a 3rd place finish in the 2B State Tournament. Adiya sat down for an interview with the See-Yaht-Sub to tell her story to her tribal membership. So you’ve only been playing organized basketball for a little over four years then? Why did you transfer out of Heritage H.S. and why did you choose La Conner H.S. to transfer to? Was it difficult adjusting to a more traditional curriculum? At La Conner you mentioned they have curriculum that really challenges you and helps you to succeed. How so? Do you feel you’re getting better prepared for college life? How does the style of play differ from what you were used to at Heritage? How is the competition different playing in a larger league? What was the adjustment period like playing with a brand new team? Before your first basketball game for La Conner, did you have any doubts about your skills in a different league? But then you went on to be a starter and had a great season. You even averaged 16.3 points per game. Did that validate your skills as a basketball player? You guys got off to a really good start and in fact went undefeated during the regular season. At what point did you realize you had a real shot at winning the state title? Going into the semi-finals at State your team was 24-0 and had a 10 point lead in the 4th quarter, but ending up losing the game. What happened? But then your team bounced back in the 3rd place game, right? That’s still a nice accomplishment in your first year with La Conner to go 25-1 and place 3rd in the state tournament. Now you have that extra motivation to come back even better next season and to hopefully win it all at state. Outside of school and basketball, how are you liking living in La Conner? Who are your favorite basketball players to watch? I hear you plan on playing some ball in Europe during the summer. What’s that about? What areas of your game are you going to focus on improving before the start of your senior season? You averaged 16.3 points per game this past season as a junior. What is your goal to average in your senior season? 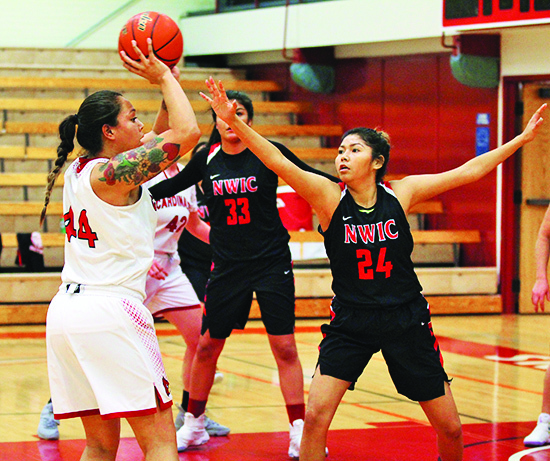 TULALIP – Former Heritage High School Lady Hawk and Tulalip tribal member Adiya Jones is joining the ranks of Tulalip athletes who are showcasing their skills internationally. Jones, a junior at La Connor High School, has her sights set on Italian basketball courts, where she hopes to join an elite group of players from across the globe, to compete and test their skills while representing their countries. The only thing that can stop her isn’t fear, it’s fundraising. Jones was nominated to join Team USA, which consists of 12 other girls selected from across the United States, by a coach who saw her play. To help her raise the $4,000 needed by March 2, Jones has created a fundly.com account, which works like Gofundme, where people can donate funds to her cause or benefit, in Jones’s case, her trip to Italy. The money she raises will pay for hotels and meals as Jones travels around Italy with Team USA. To guarantee her slot on the team, Jones is using the same type of dedication she shows on the court to fundraise as much as she can before the deadline. In addition to her fundly.com account she has created a lottery board where you can purchase one or more squares for a fee. If you choose the wining square number you win half the money the board generated. “I need to have half the money by a certain date. I plan to use some of my Christmas bonus money to help. The Tribe is also going to help with matching funds I raise,” said Jones, who is also planning a spaghetti feed with the help of her grandmother to raise more funds. 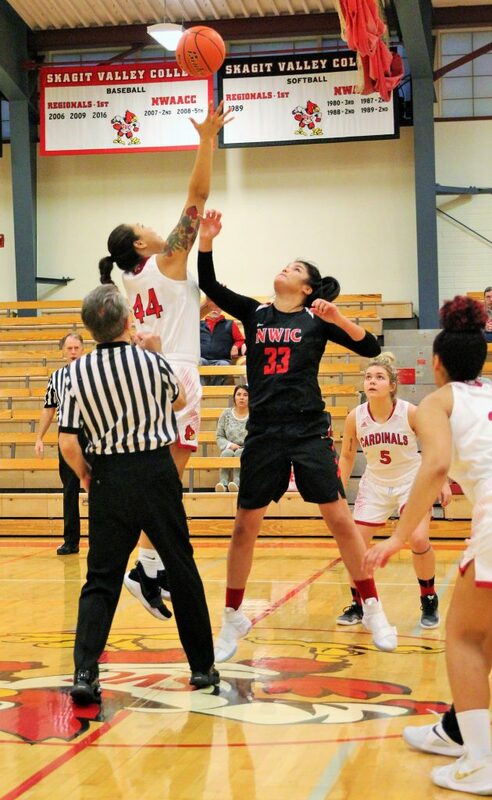 Jones will also be participating in the annual Tulalip Tribes All Native Thanksgiving Basketball Tournament, held November 28-30, to test and sharpen her court skills and hopefully do a little fundraising. “I am excited but also nervous. Once we started the board I started to get really nervous, like, this is it,” said Jones about her anxiousness to travel abroad for the first time by herself. To support Adiya’s fundraising attempts, please visit her fundly.com account at http://fundly.com/my-trip-to-italy.